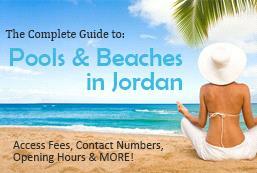 AMMONNEWS - JordanSun.com Team decided to combine all the pools & beaches in Jordan in one page where access fees, contact information and special offers will be included for this Summer of 2016. Enjoy the splashes and the sun shine! Please let us know if you want us to include any other places available in the kingdom!